Quinceañera with Baby Fever up at Salon! An excerpt from my memoir is up at Salon! Interview with Reyna Grande, Latina Mama Writer! Reyna’s new book, her memoir THE DISTANCE BETWEEN US, is being published this month, already to critical acclaim and praise! I had the chance to chat with her about juggling between an evermore successful writing career and maintaining a balance as a mother. Read on for some inspiration and advice. Then, share with your writer friends and go pick up a copy of Reyna’s new book. You’ll be glad you did. 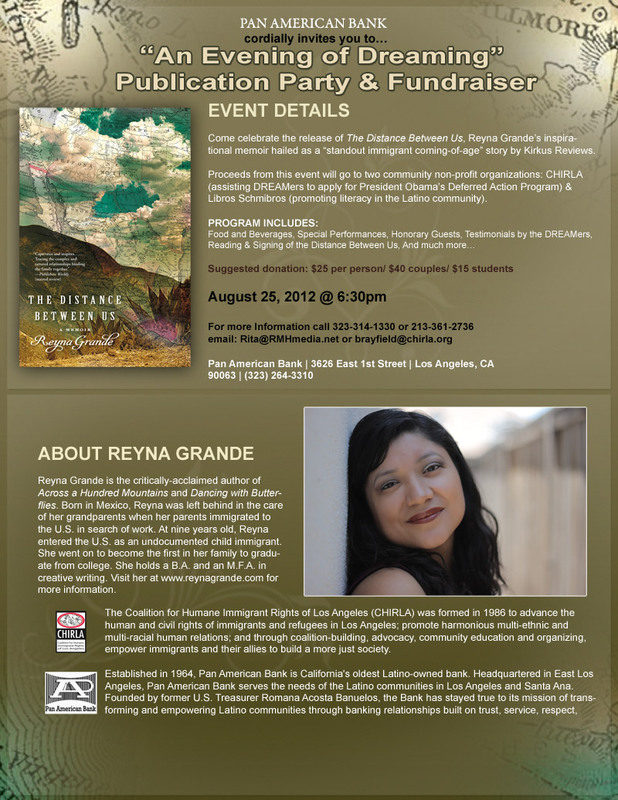 P.S., If you’re in the L.A. area on August 25, 2012, join Reyna in celebrating the release of her new book! And, spread the word!